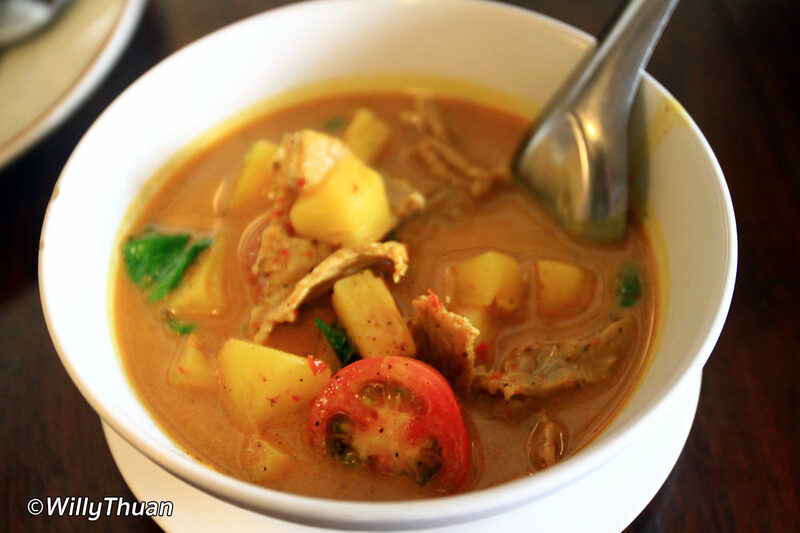 Never heard of Kopitiam by Wilai Restaurant before? Not a surprise since Thalang road changed from just an old busy street to a full-scale tourist attraction, bars and restaurants started to appear like flies on honey. And thinking of it, it is a good thing! 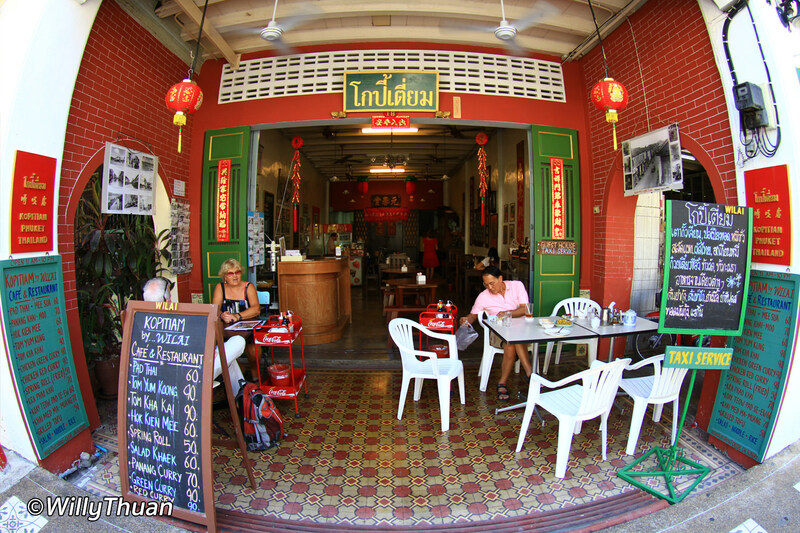 Well, I do have an opinion on the way those houses are renovated, too often looking like dollhouses, but the oldest parts of Phuket town deserved to be kept alive, and Kopitiam Restaurant took a smart approach. So what can be better than walking down an old Sino Portuguese street and having the choice among several fun restaurants or chill in one of these little cafes? 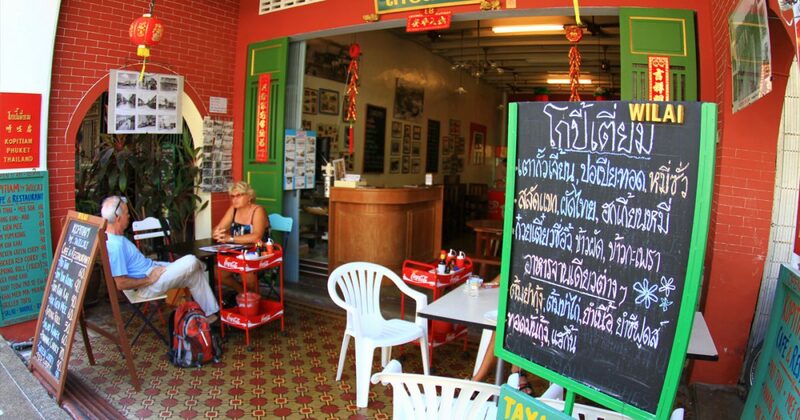 In this part of Thalang road, Wilai and China Inn were always popular, each in its way, and I often come to Wilai for a quick and easy lunch. 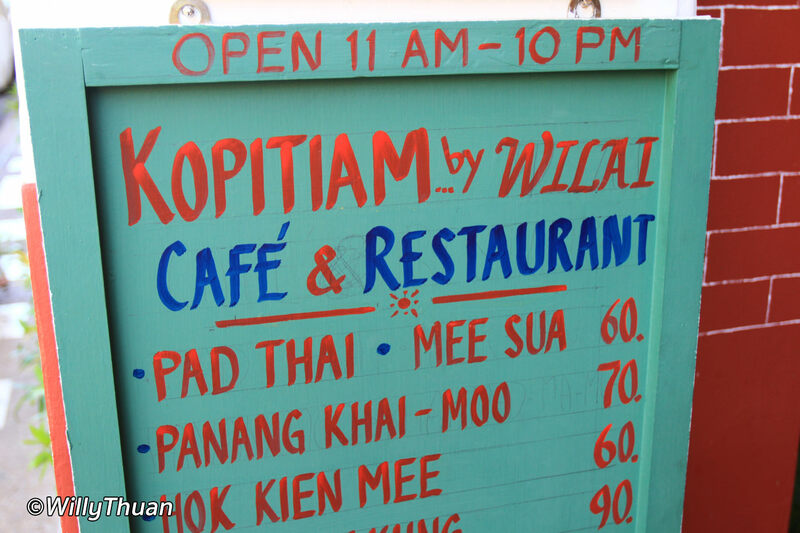 Kopitiam Restaurant, which is the name given to coffee shops in Malaysia and Singapore, is Wilai’s new creation. And once you walk by, you have to admire their sense of making a lot with very little. 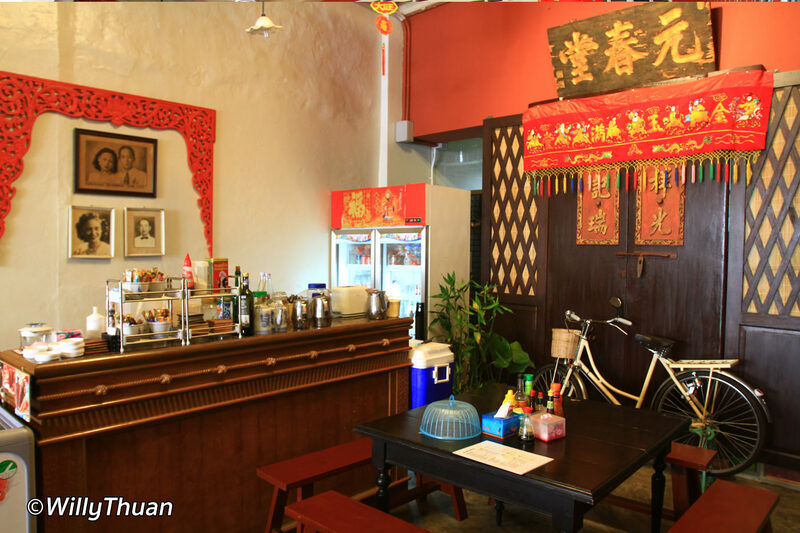 What strikes the most right away at Kopitiam Restaurant by Wilai, is this impression of looking at an old established Chinese shop, you know, the ones that don’t have a style but ended up having their exotic look by keeping all kinds of small bric-a-brac over the years. And it works, just observe how many people just stop, just for a glimpse or even a photo. 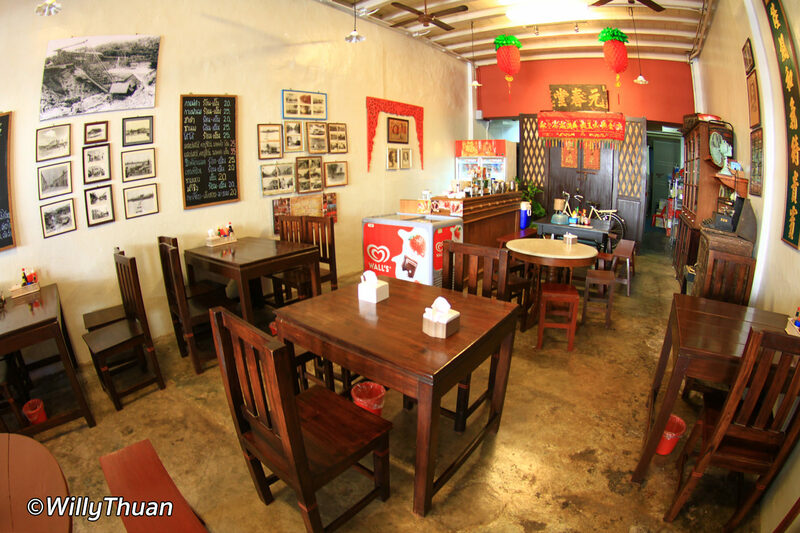 Truth is, Kopitiam Restaurant is relatively new, and none of the decoration item is in fact expensive, it’s just done with sense and fun taste. Food at Kopitiam Restaurant is inexpensive and tasty, just like its elder sister ‘Wilai’ next door. 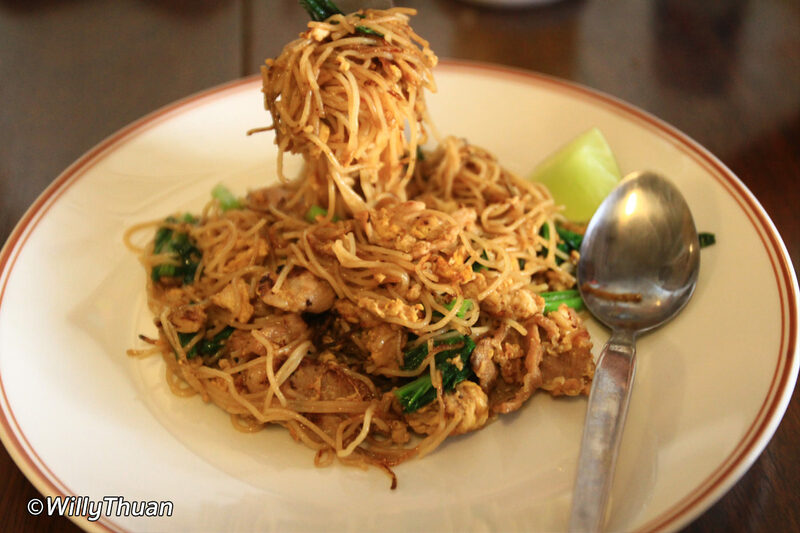 These restaurants specialise in Hokkien fried noodles (Hokkien Mee), thick or thin (mee hoon) and a good selection of classic Thai dishes such as the ever-popular Pad Thai, Thai curries (Kaeng Khiew Wan) and Tom Yam. 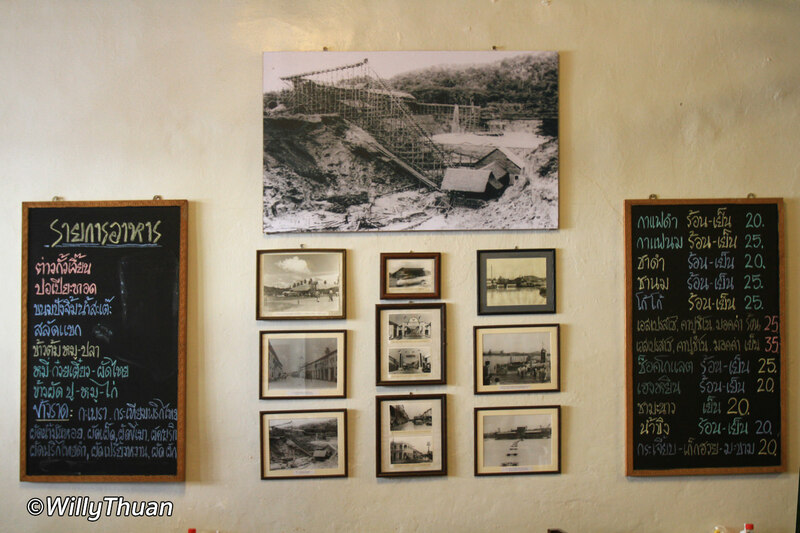 Prices: around 70 – 120 Baht. What is Phuket Famous For? 11 Reasons to come to Phuket!